Hello there! I have some mid-month inspiration for you for our current challenge, Ring in the New. The covers are cut using Eileen Hull's Trinket Box die and colored with Distress inks and sprays. 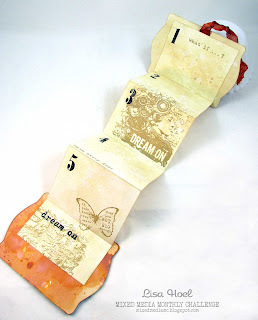 I added some stamping using archival ink and then covered it all with Crazing Collage Medium for a subtle crackle. 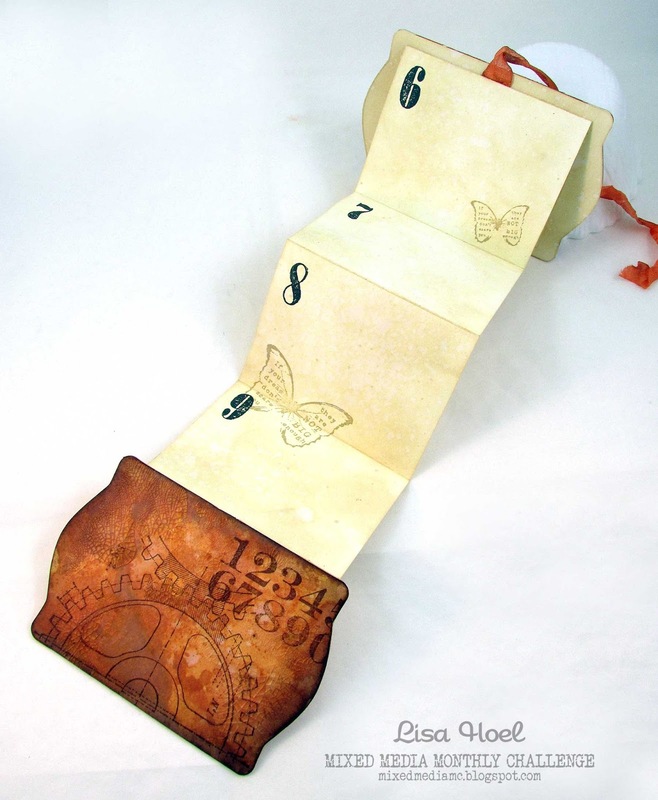 The pages are accordion style and I stamped on the front and back. Thanks for stopping by and be sure to head on over to Mixed Media Monthly to check out all the cool projects! You still have time to enter and then you'll be in the running for winning a mixed media prize pack from the Prize Vault. Gorgeous mini album, love your project!! It is amazing. Thank you for the inspiration Lisa !!!! great idea. 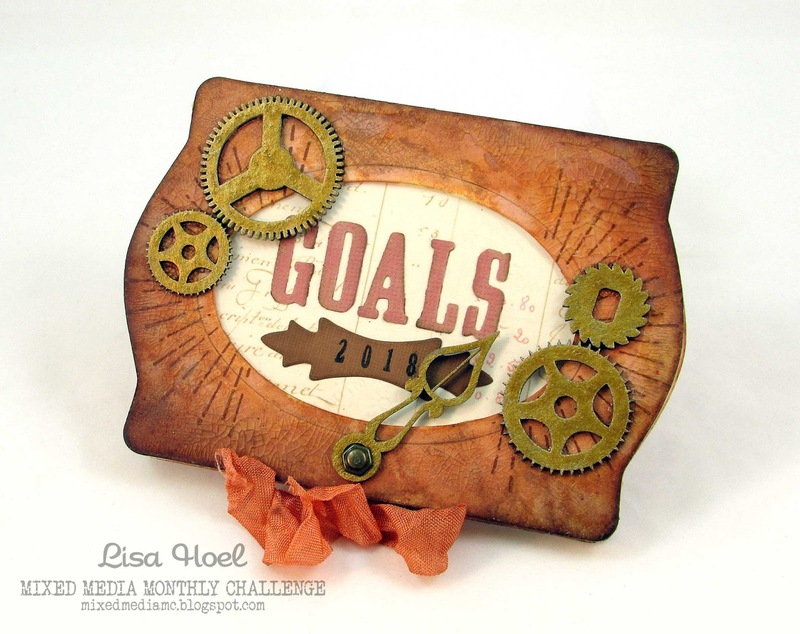 love the accordion style to capture goals so creatively! This is a great idea for a mini album! I love the crackle and your fabulous design! Hugs! What a neat mini album Lisa!